The Area — Inverugie Golf Inc.
What does the area have to offer? The village of Georgeville is nestled in the rolling hills and forests that grace the shores of beautiful Lake Memphremagog. Georgeville is just a ninety-minute drive from Montreal and a short drive from Vermont and Northern New England. The area is home to wonderful, historic hotels and B&B's. As well as many elegant, award winning restaurants. Georgeville is the perfect summer destination for those who want to get away, enjoy nature and have some fun or just take it easy and watch world class sunsets from the beautiful water's edge. This century old hotel is a historical gem. Maison McGowan boasts an excellent restaurant with a stunning view of the beautiful Lake Memphremagog. Go for supper and catch one of the incredible nightly sunsets. The Old Mansion House is perfect for groups or families both large and small, who wish to relax and enjoy its secluded luxury. This well-appointed Manor is within easy reach of Mount Orford, Mount Owl's Head and Jay Peak. Throughout the year, this comfortable rental home is an ideal base from which to explore what the Eastern Townships has to offer. Including, boating, cycling, golf and the many other activities on offer nearby. 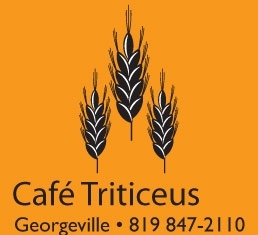 A small breakfast and lunch café and bakery in the heart of Georgeville. A beautiful farm of Lavender located in Fitch Bay, a short drive from Inverugie Golf. Don't take our word for it. Explore the Eastern Townships tourism website for more ideas on what to do during your visit.